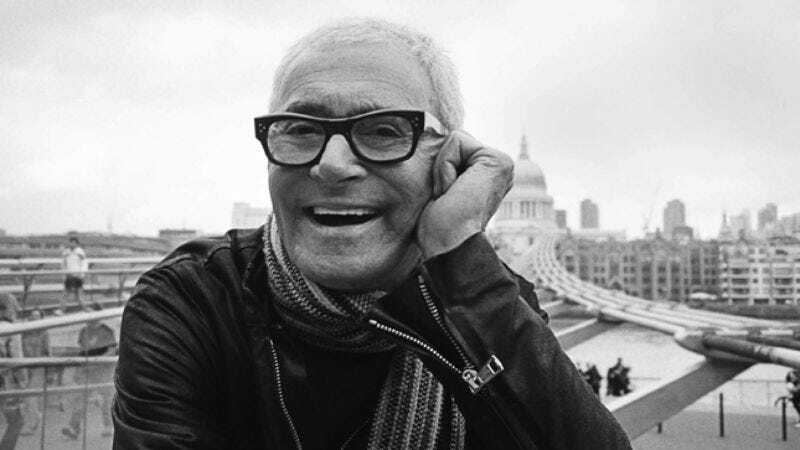 Late in Vidal Sassoon: The Movie, the film’s dapper, eloquent, freakishly well-preserved 81-year-old subject tears up as he discusses discovering that his daughter had overdosed. It’s a jarring moment, because the documentary had barely mentioned Sassoon’s children, perhaps because his daughter’s death clashes with the way the film depicts him as borderline-superhuman in his ability to create beauty, commerce, and life out of disorder. Vidal Sassoon: The Movie focuses on a larger-than-life winner, so perhaps it’s no surprise that it barely pays lip service to his most profound loss. Sassoon’s extraordinary life took him from a Dickensian childhood in a Jewish orphanage in London during World War II to Israel, and then finally all around the world as he ascended to the pinnacle of the hairdressing profession. Vidal Sassoon convincingly posits Sassoon as one of the architects of the Swinging London of the ’60s, a man in the right place at the right time to revolutionize fashion alongside a like-minded group of similarly gifted photographers, designers, and models. Sassoon leveraged his fame as a celebrity hairdresser to open a spectacularly successful line of hair-care products, as well as host his own health show alongside his second wife before they grew apart. As successful as Sassoon became, he could never escape the long shadow of his traumatic childhood, or lose the sense that he was responsible for his parents abandoning him. That lends the film a bittersweet, elegiac quality. Vidal Sassoon: The Movie tells a riveting story of triumph littered with tragedy. It’s the tale of a man who refused to let his humble origins dictate the course of his life, and it’s also a throwback to a lost ’60s where male hairdressers had to be sternly cautioned not to sleep with their female clients, and the world seemed wide-open and new. The film tells such a compelling, expansive story that its unwillingness to plumb its subject’s psychological depths feels forgivable, though regrettable.